After you decide where you want to live, you’ve got to decide what kind of home you’re going to live in. Regardless of style, it comes down to existing home or building a new home. Below are some basic pointers to prepare you for the journey ahead if you decide to build a home during the home-buying process. Shopping for a large production or custom home builder can be overwhelming. It’s most helpful to decide what architectural styles appeal to you and then research builders in your area who offer those styles. Researching a custom home builder will be stressful but will be well worth it. Ask your friends and family for referrals but check out their history with the Better Business Bureau. Verify all of the builder’s certifications as well as licenses with the state and/or local authorities. 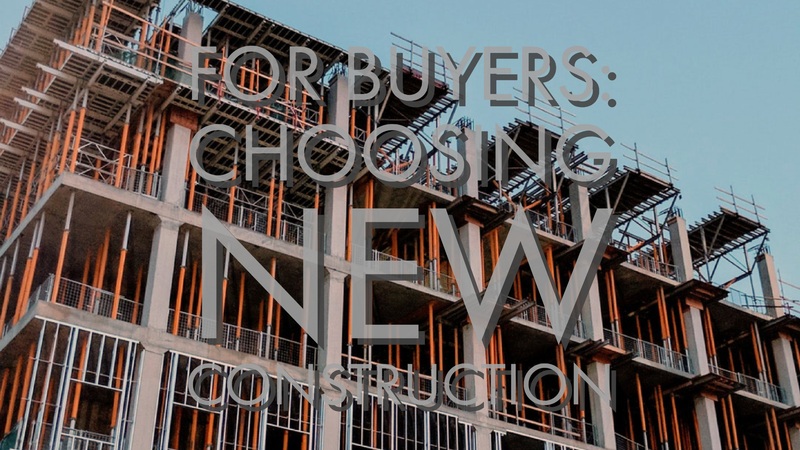 Buying a new home and designing one will connect you with the builder representative. Their role in your home-buying process is to give you access to all the information about their company’s development. They share information about building restrictions, inspections, warranties, rebates and available upgrades to the lot you’re buying. Since the Jane Campbell Team has lots of new-home construction experience, we can help you go through all the information a builder’s rep has outlined. As your agent, Jane will translate the builder’s contract from legal jargon to buyer-friendly language. As with any real estate purchase, market conditions for buying a new home are mostly timing. When a builder has more homes than buyers, they can offer you a better deal. As your real estate agent, Jane and the Jane Campbell Team will be able to watch for ideal market conditions for your future home purchase. Also, watch for builder close-out sales. Builders promote these special events when a new subdivision is near completion but empty inventory still remains. While there are always exceptions, most builders require a deposit when a purchase agreement is signed. Builders also require that the buyer pays for any upgrades prior to closing. If you back out prior to closing, unless the agreement states otherwise, you will lose that money. Make sure you understand every detail of the builder’s contract before signing it. Want to be one of our VIPs? Sign up for our newsletter now! Pinky promise – we only send 1-2 emails a month. Ready to get started on your next real estate adventure? We’re ready for you! If you’re looking to buy, sell, or invest in real estate in Middle Tennessee, send us an email.